Clinical Hypnotherapy For Stress Management can be very effective, very quickly. Just like NHS Dr. Andrew, Newcastle Hypnotherapy can teach you how to feel relaxed and in control when stress would normally be causing you a problem. Powerful Stress Management techniques will give you the choice of how you feel in almost any situation. Stress Management Client Feedback. “Mark taught me how to recognise when I was starting to feel stressed and how to stop it getting stronger. I love the fast relaxation techniques as they help me to replace the old stress feeling with relaxation and calm. My life is very different now and I don’t suffer from stress problems.” David – Newcastle upon Tyne. Imagine the ability to relax anytime, anywhere, on demand and let that stress gently drift away. This is how hypnotherapy for stress management helps people just like you. To get started simply get in touch today, to arrange a free phone consultation. Call 07568 455 809. How Can Hypnotherapy For Stress Management Help Me? Stress is all around us and can appear in many different forms. What may be a stressful situation for one person, may not be stressful for others. Stress is interesting in that for some people it can really make them unwell or unhappy, while others thrive on it or use it to push themselves forward in life. Learning good Stress Management skills can make all the difference in how we naturally deal with stress and stressful situations, on a day to day basis. It is often our response to stress that is the problem, not the stress itself. Changing your response from Stressed to Relaxed. People who suffer from stress issues find that certain stress triggers make them respond in the wrong way. There are times when we do need to feel stressed but when we react to these things too often, it becomes a habit and damages our health. Hypnosis and Self-Hypnosis are very powerful methods to help you to relax and stay relaxed, rather than feeling stressed. Are you ready to take the first step? Contact us today to learn how hypnotherapy for stress management can help you. Which Therapies Are Effective With Stress Problems & Disorders? There are effective ways to remove stress issues and research shows that Neuro-Linguistic Programming (NLP), Clinical Hypnotherapy & Emotional Freedom Technique (EFT) are very effective in reducing the effects and symptoms of stress. Our approach is to evaluate the problems stress is causing you to find the best stress reduction & stress management methods suitable for you. Self Help For Stress Management? Many of our clients love that we show YOU how to manage your stress yourself. Once you learn the techniques yourself, this puts you in control to work on and manage your stress as you wish and of course, we are here to help and improve the way you do this for yourself. Free Tips & Advice For Stress Management. Join the Stress Management Newsletter today. Your privacy is safe and you can unsubscribe at any time. If you are suffering from stress issues you will be aware that it can make life very miserable. Stress can really take the fun out of life and interestingly it is one of the easiest problems to rectify. Stress is not really the problem but the way you react to things is. Are you ready to take control and live a better life? How Quickly Can Hypnotherapy Help Stress Issues? Most clients find their stress levels drop quite quickly after their first session of hypnotherapy for stress management. As you practice your exercises and gain control over your stress, you will enjoy your stress levels dropping even further. Every stress client is different and results will vary for each person. Workplace Stress & Stress Management At Work. Stress symptoms and issues can appear anywhere & everywhere and it is very common that stress problems are related to or happen while at work or around your workplace. Work-related stress is on the increase and can cause problems for everyone involved. Thankfully we can put together sessions and programs for individuals and groups of people at every level of an organisation, to deal with workplace stress, effectively. Your FREE Stress Management Consultation. Many of our clients love the free consultation as it gives you the chance to explain your stress issues and get answers to all of your questions. We can look at the issues and then let you know the best way forward to change that feeling of being stressed to feeling relaxed and calm. Mark’s Journey With Stress & Stress Management. Personally, stress caused me issues from a young age. As a teenager, it made exams a struggle and caused severe digestive symptoms. As I got older it interfered with my work, my business, relationships and social time. This resulted in physical symptoms, such as pain, headaches, tension, muscle clenching and many other problems. Thankfully, this led me on a path to study personal development, meditation, relaxation techniques, emotional freedom technique, self-hypnosis, hypnosis, neuro-linguistic programming, mindfulness, stress management and many other useful techniques. This has been an interesting and enjoyable journey. On studying and practising these many interesting techniques, I discovered which were most effective for me and for other people. I learned over time, how to reduce the symptoms of stress, manage stress better, effective relaxation and eventually turn stress to my advantage. I discovered that dealing with stress was no longer difficult, once I learned the simple skills and stress management techniques. The Many Symptoms Of Stress. The effects of stress can appear in many ways including, Headaches, Low Energy, Digestive Disorders, IBS – Irritable Bowel Syndrome, Poor Immune Function, Regular Coughs & Colds, Stomach Issues, Insomnia, Lack Of Focus, Pain, Jaw Clenching or Grinding, Chest Pain, Rapid Heart Beat, High Blood Pressure and can make other health issues worse. When Should I Take Control Of My Stress Problem? Stress issues should not be left to get worse, without treatment. We know stress problems can cause or complicate other health issues, causing further risk. Stress disorders, big or small should be dealt with as quickly as possible. To take control of your stress today, complete this form below or call us now on 07568 455 809. Remember to ask about your FREE Stress Management Consultation. This can be done by phone, in person or online. 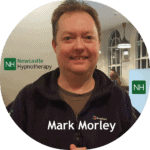 Newcastle Hypnotherapy helps people with stress and many other issues from a number of locations in the North East of England. You can find our hypnotherapy & NLP services at the following locations. Online via video link – ask for details.